Welcome to London! 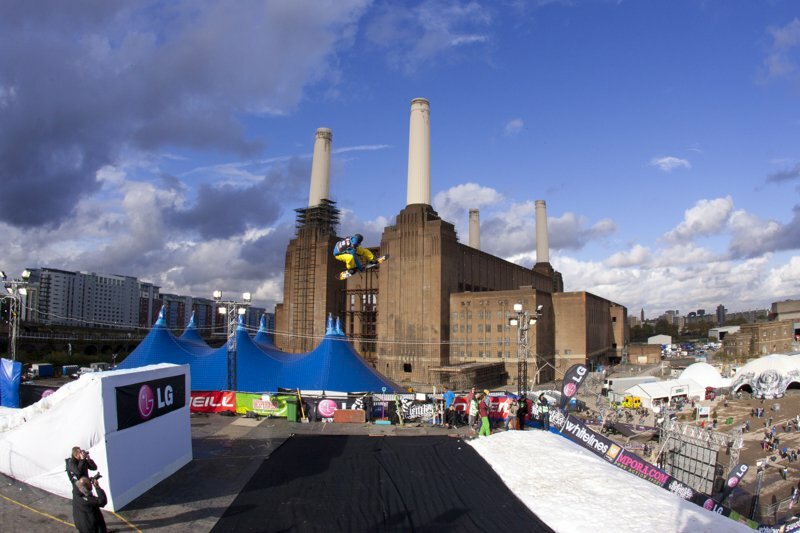 For the third year running three million pieces of scaffolding were locked in for what is no doubt one of the best UK skiing events of the year. 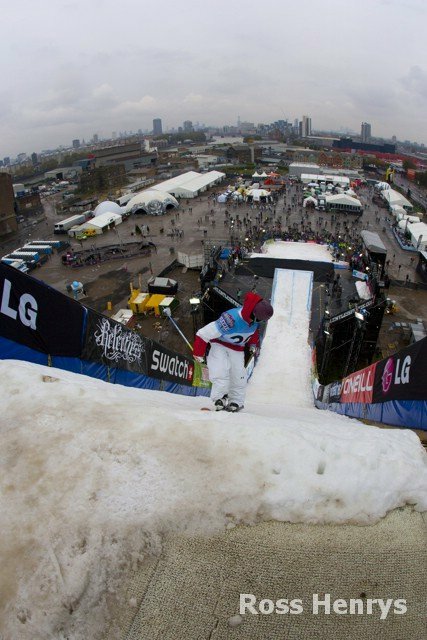 Thhe weather decided to play its jokers at the key moments, but luckily this year the shapers had learnt their lesson and the extensive use of tarpaulin ensured that the jump was in shape and skiable. Getting the ramp looking perfect despite the conditions. Each year the standard of British riding goes up. 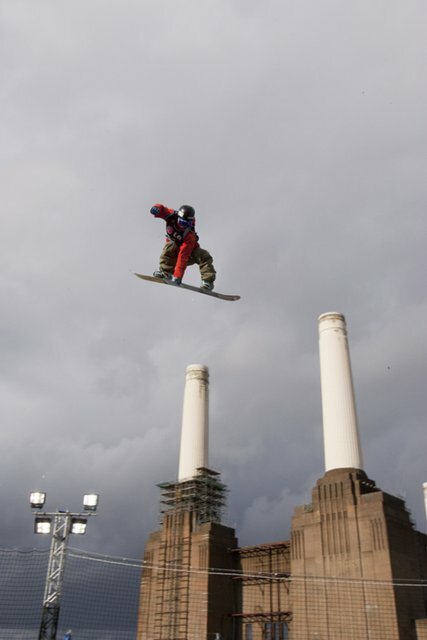 Some of the young skiers had never hit a city jump before but didn't hesitate to step it up, proving that Britain can play its part in the worldwide ski community. The standard of riding in humid and icy conditions was impressive. 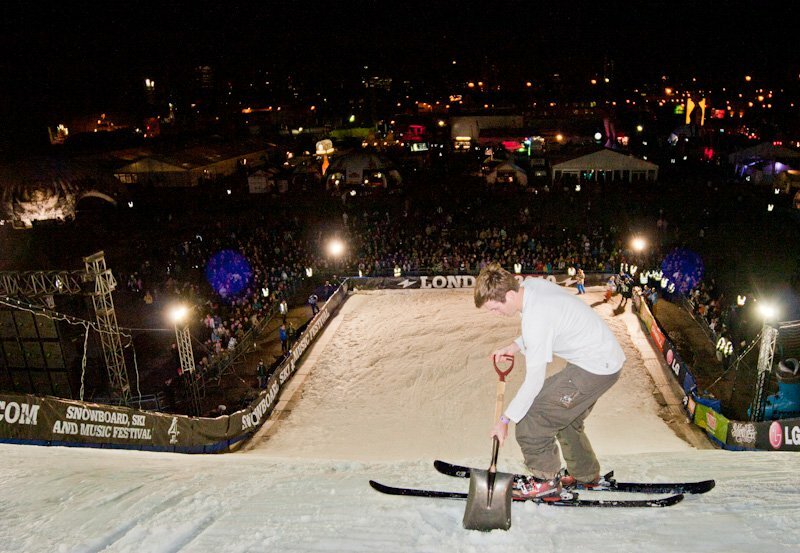 The skiers had hit the jump for some practice in the morning but after several hours of closure following the British Snowboarding competition, they were hungry. Once it was finally go time, the competitors stepped up and qualifying began. 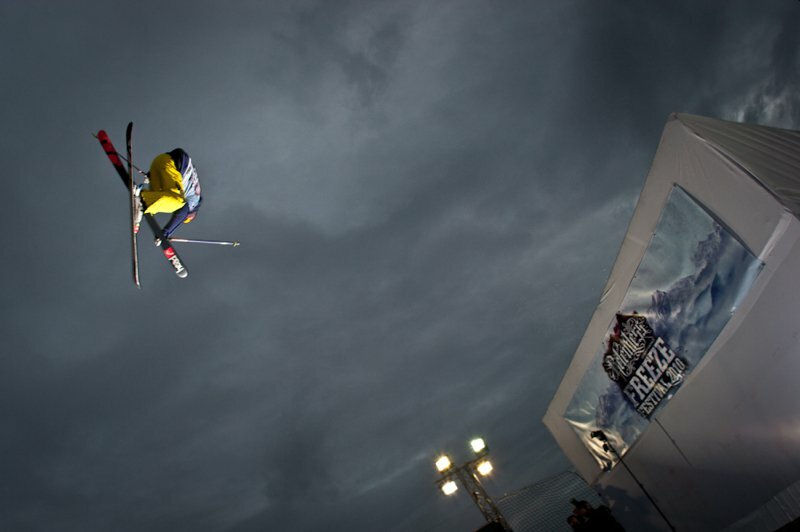 Twenty-two skiers went down to eight during qualifiers. 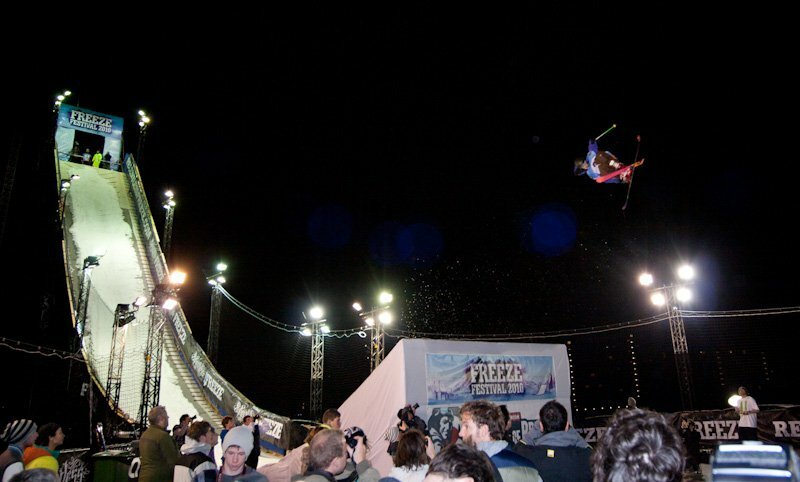 Highlights of the qualifiers included Andy Bennett throwing a huge shifty in a zero spin and the first and only girl to throw down at the London Freeze, Katie Summerhayes, who threw some sick 7&rsquo;s. The finals consisted of two rounds, with eight riders getting trimmed down to four. 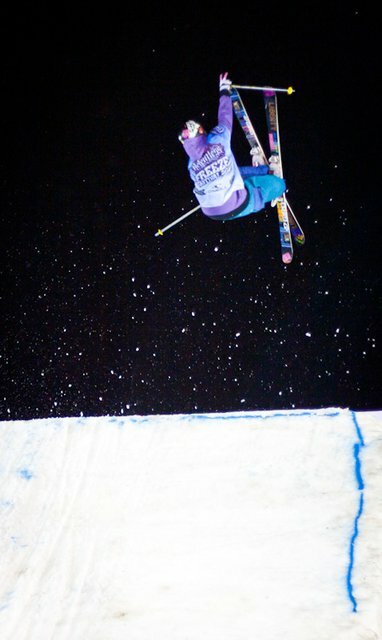 -Paddy Graham&rsquo;s dub cork 10 beat Julian Ball&rsquo;s sick cork 7 japan and nose double grab. -Joe Tomlinson&rsquo;s switch 5 true nose beat James Webb&rsquo;s switch 9 mute &ndash; fell. 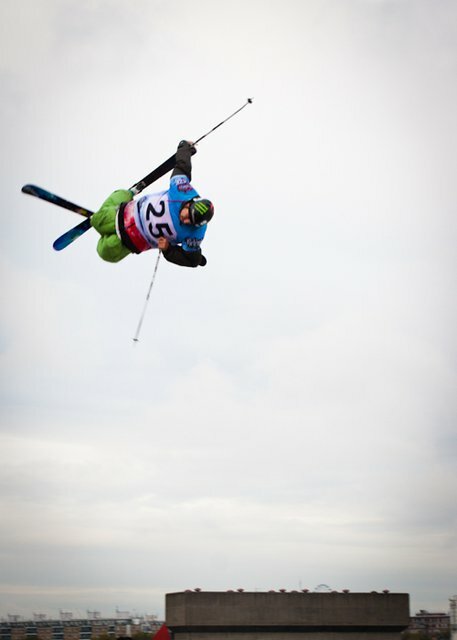 -Andy Matthews&rsquo; flat misty 9 (he went so big that he broke his ski and got a concussion before going back up on his brother&rsquo;s skis and throwing a misty 7) lost to Andy Bennett&rsquo;s forward 7 blunt. 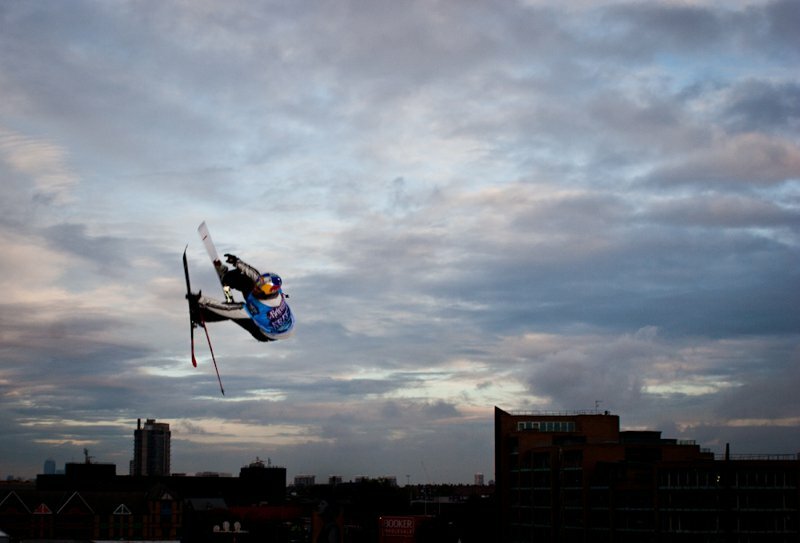 -Joe Hides&rsquo; tweaked out flat 7 &ndash; pulled off ski mid air lost to James &lsquo;Woodsy&rsquo; Woods&rsquo; double nose cork seven straight legs. 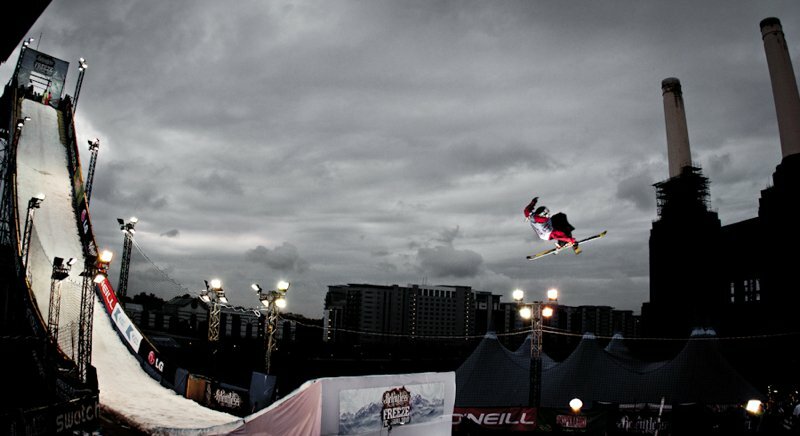 As the light disappeared and conditions began to rapidly decrease with wind and rain pounding down on the venue, the final four had just one run left to prove themselves. First up was Andy Bennett who launched a switch seven but couldn&rsquo;t put it to his feet. 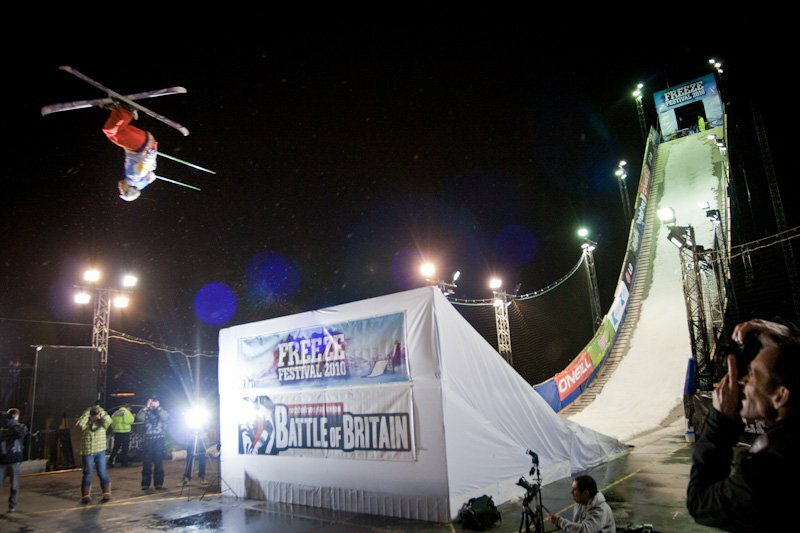 Next up was Joe Tomlinson with a cork seven, it was huge, it was stylish, and it was oh so clean! Then Woodsy dropped in, balls on the table throwing a dub cork twelve in the worst skiing conditions possible but could not quite stay on his feet at the last moment. Finally Paddy Graham came in and threw a flawless double cork ten to win to competition. 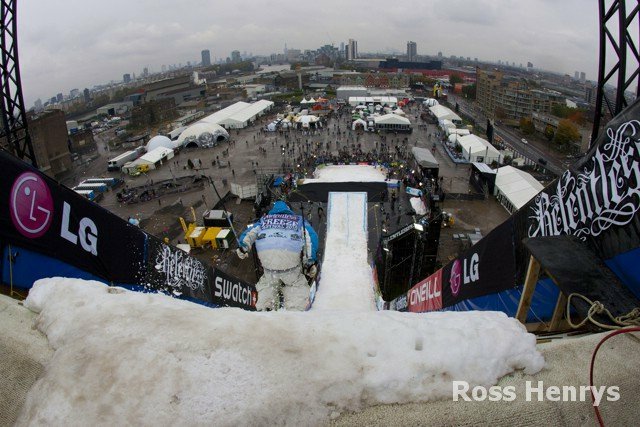 Unlike the canvas in-run last year, this year with lower humidity levels the snow stuck and the riders threw down just as hard. 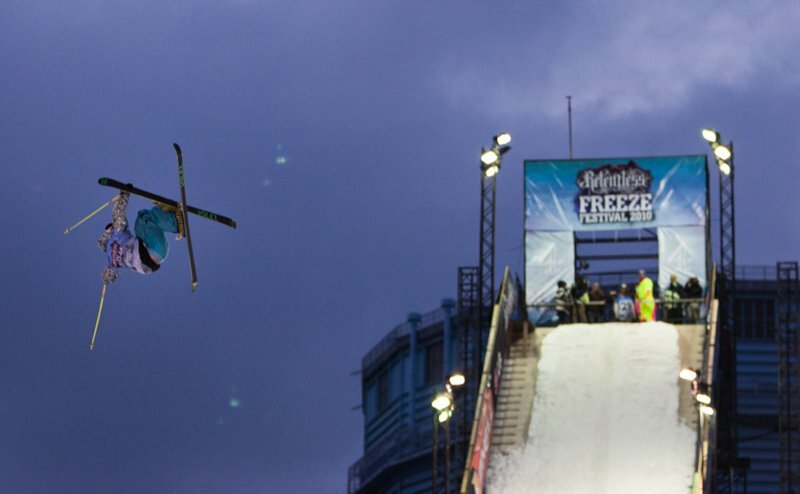 Double 10&rsquo;s, double 9&rsquo;s, double underflips, double lincolns and double grabs were abundant as a truly international field of riders stacked the field. 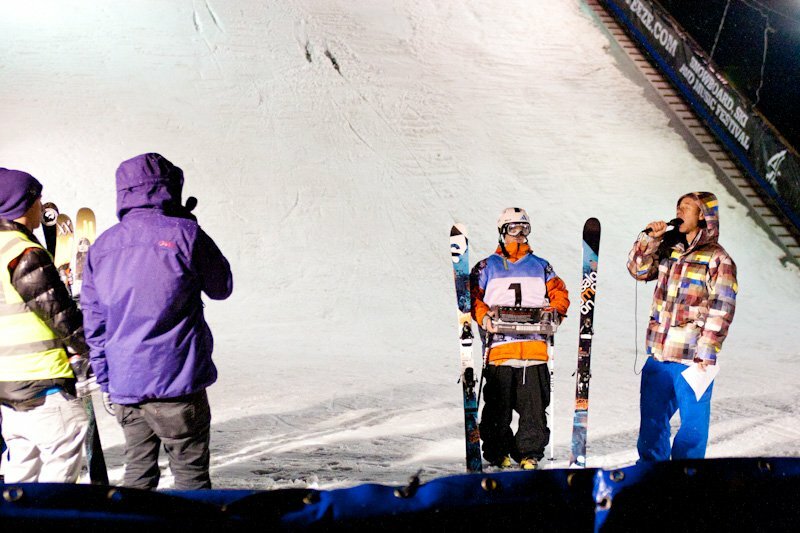 The qualifiers were intense, and highlights included Julian Ball&rsquo;s sick japan and double nose grabs, Jacob Wester poking like a madman, and some balls out skiing from Joe Tomlinson by landing on his face while attempting a huge kangaroo flip. And even Katie Summerhayes, the 15-year-old UK female skier, was out to impress the boys and capacity crowd with some smooth 7&rsquo;s with grabs. 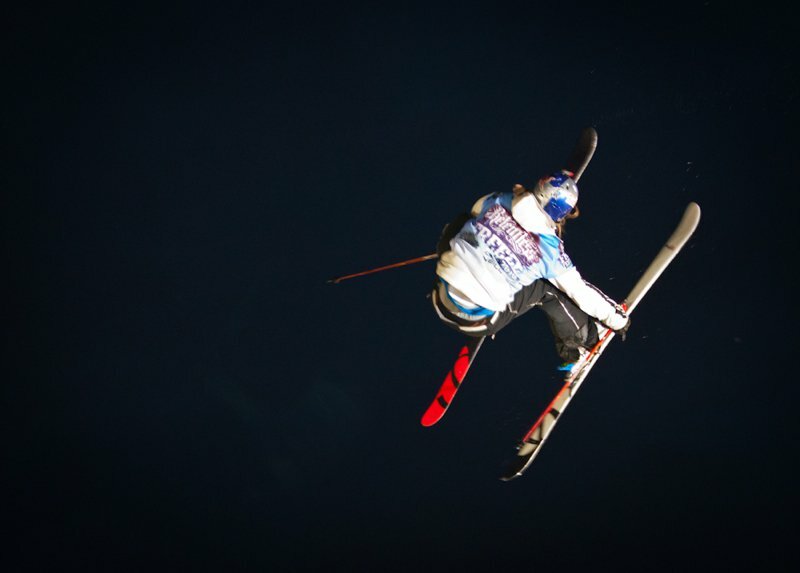 Jon Olsson proved why he is one of the most respected names in freeskiing and showed off huge and clean double cork 10 truck drivers. 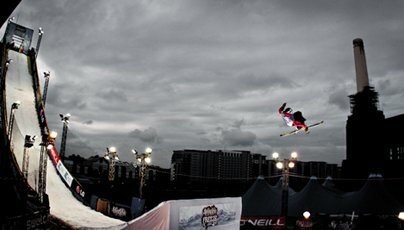 Colby West entertained the crowd and claimed hard, while UK favourite Paddy Graham stomped his double cork 10 so hard the ramp shook. Only 16 could go through to the finals and much to the disappointment of the crowd, UK hero James &lsquo;Woodsy&rsquo; Woods couldn&rsquo;t stick his runs clean enough to get in. 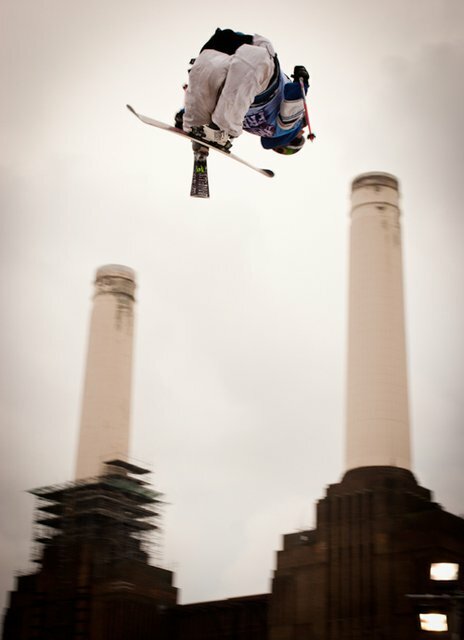 -Andreas Hatveit&rsquo;s deep double 10 double mute grab beat Paddy Graham&rsquo;s double cork 12 mute. 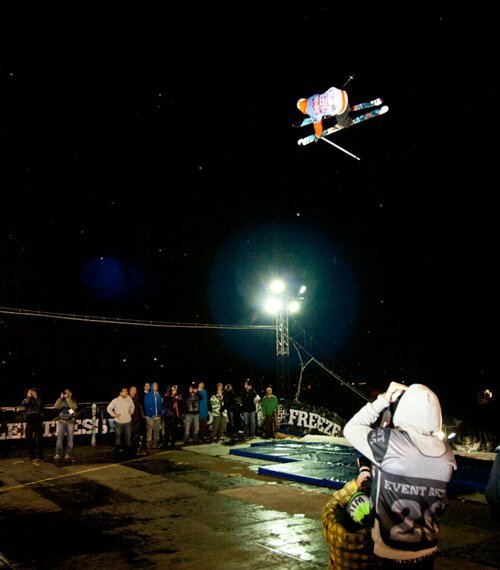 -Jon Olsson's double cork 10 safety to truckdriver beat Aleksander Aurdal&rsquo;s double 10 double grab. -Oscar Scherlin&rsquo;s double 10 high mute (which he held for ages) lost to Henrik Harlaut&rsquo;s switch double 9 safety, which was oozing with style. -Bobby Brown&rsquo;s double 12 high mute beat Fridtjof Fredricsson&rsquo;s double 10 double mute. 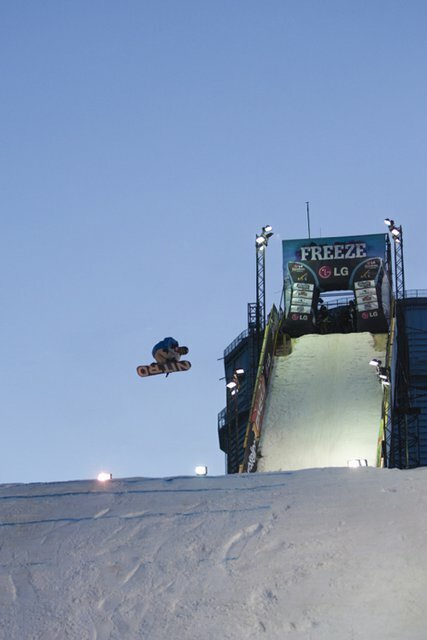 -Jacob Wester&rsquo;s double 10 double grab beat Lasse Nyhaugen double 12 that he bobbled on. 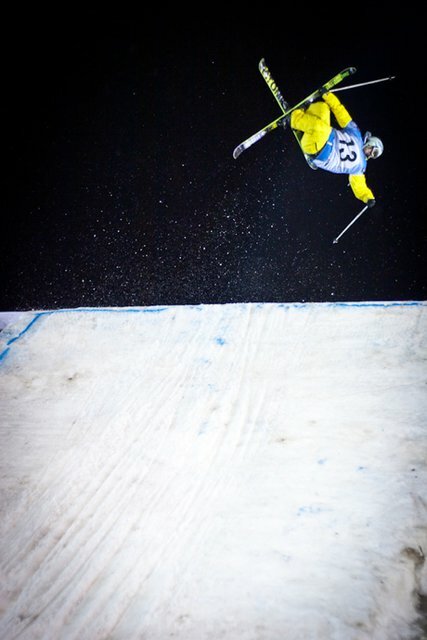 -Elias Ambuhl double 10 double grab to poke beat Gus Kenworthy&rsquo;s double 12 (which was almost a 14). -PK Hunder&rsquo;s double 10 high mute with a super clean and stomped landing beat PC Fosse&rsquo;s poked out double 10. -Oscar Harlaut&rsquo;s heavy head double 9 rodeo lost to Russ Henshaw&rsquo;s switch and super slow double 9 high mute. So onto the semi-finals, which consisted of an absolutely stacked field who all came to play. Bobby Brown was the only North American left and PK was hungry to regain the title from two years ago, while last year&rsquo;s winner Russ Henshaw was looking to repeat along with Freeze veteran and recent Freestyle.ch champion Henrik Harlaut. 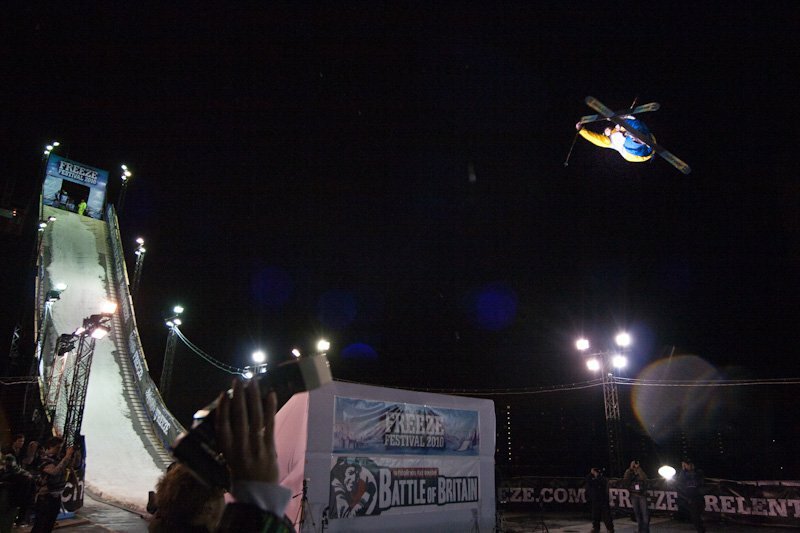 -Andreas Hatveit&rsquo;s massive floaty double 10 double grab lost to Jon Olsson&rsquo;s double 10 truck driver. 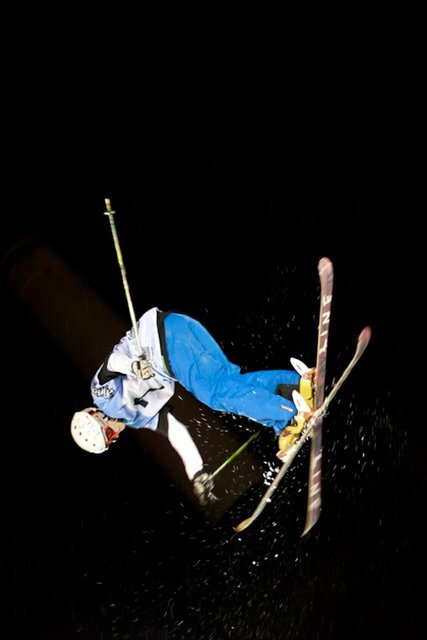 -Bobby Brown&rsquo;s switch double misty 12 (which he landed backseat on) lost to Henrik Harlaut&rsquo;s switch double 10 safety. -Jacob Wester&rsquo;s double 12 beat Elias Ambuhl&rsquo;s double 10. -Russ Henshaw&rsquo;s switch double 9 beat PK Hunder&rsquo;s double 10 high mute. And then there were four. 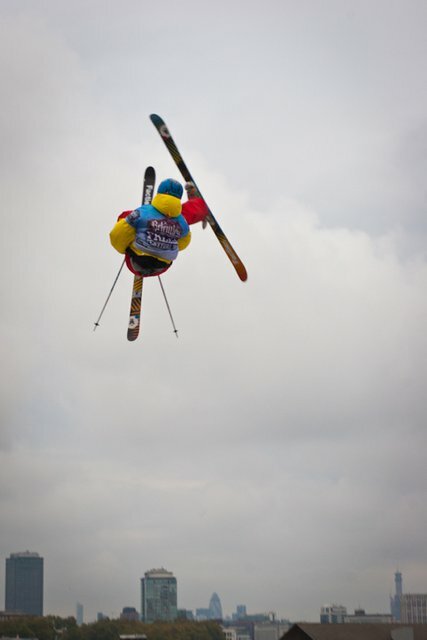 The super final was a spectacle to say the least for the crowd, many of whom had never seen skiing like this before. Needless to say, when the three Swedes and one Aussie took to the ramp they didn&rsquo;t disappoint. 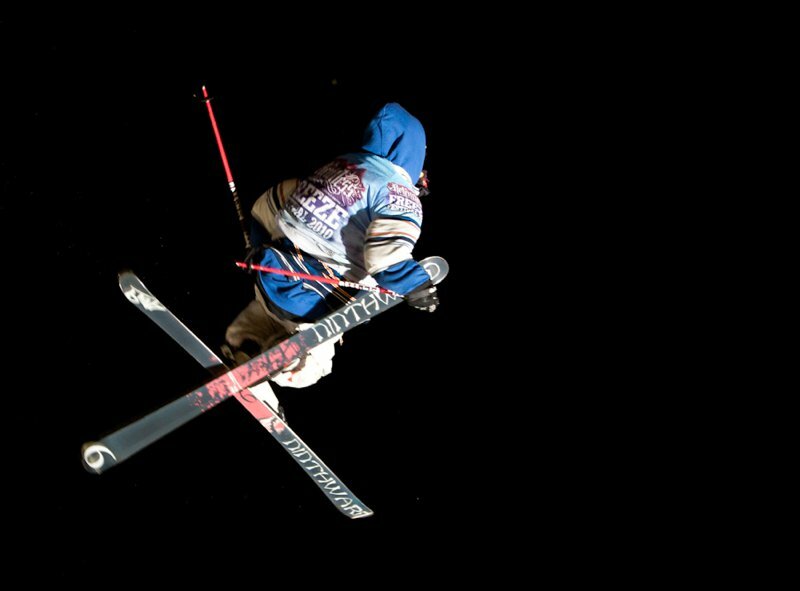 Jacob kicked it off with his double 12 double grab, while Jon threw another of his consistent double 10 double grabs in typical Jon Olsson form. 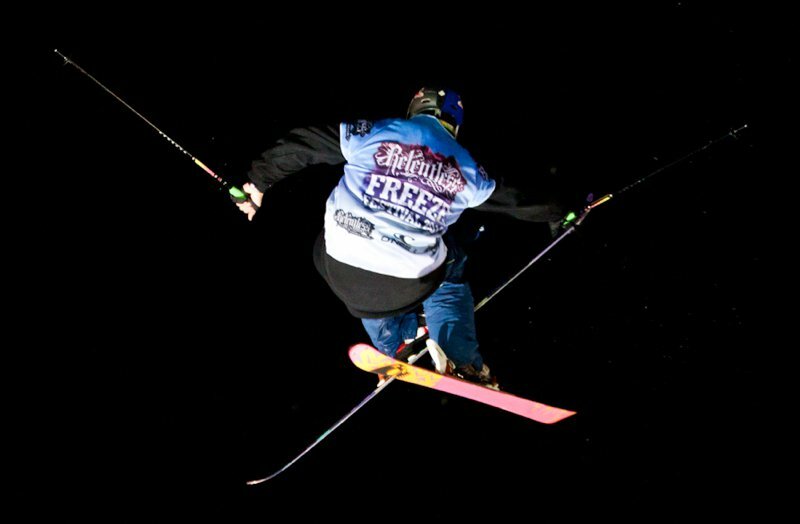 Henrik threw the sickest switch double 12 of the night and Russ threw the same switch double 9 as before. All four held it down for one of the two runs in the final, and in the end, Jacob took the title putting the Swedes at 1, 2 and 3. The Swedes continued to hold it down in the &lsquo;Europe vs World&rsquo; crossover competition, as Oscar Harlaut and Oscar Wester brought their A game and bested Kolby Ward and Katie Summerhayes to help bring Europe the title. 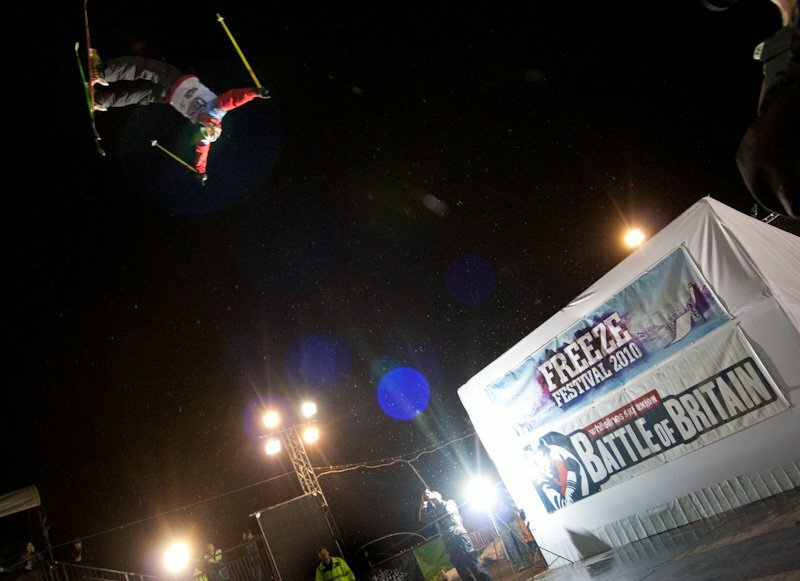 That&rsquo;s all from the Freeze this year, see you next year, and enjoy the video below! 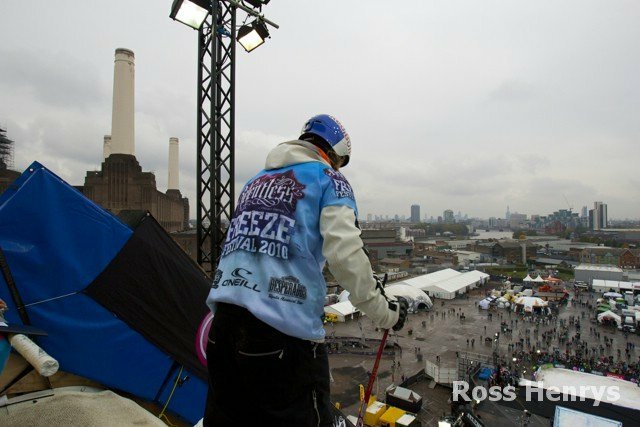 London Freeze Festival 2010 - Ski Big Air from NakedFilm on Vimeo.